Everything about modern life is bad for your skin. Heating, air-conditioning, pollution, daily stress…without a little bit of TLC, the damage would go unchecked. Skincare Boosters are a new rejuvenating innovation from Clarins. Available in three different types, Energy, Repair and Booster, this range promotes will aid in detoxifying and refreshing your complexion, reviving your skins radiance and soothing and strengthening your skin. Ideal for all skin types, perfect for skin effected by partying, overindulgence, smoky environments and extreme pollution. 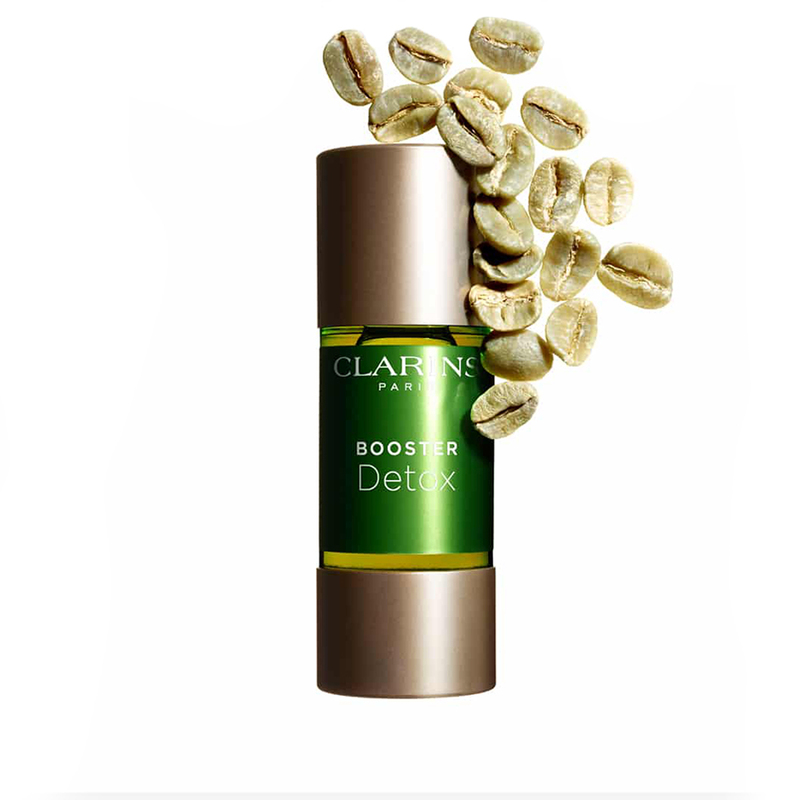 Contains green coffee extract, a plant from Africa, rich in caffeine and known for its detoxifying properties. Mix 3 to 5 drops with your regular face cream, mask or foundation. Designed to refresh, revitalise congested skin. Detoxifies, revives the radiance of a dull complexion with uneven texture.